RX, TX, and RTS LED indicators. Includes a detachable 3pole 3.5mm screw terminal. 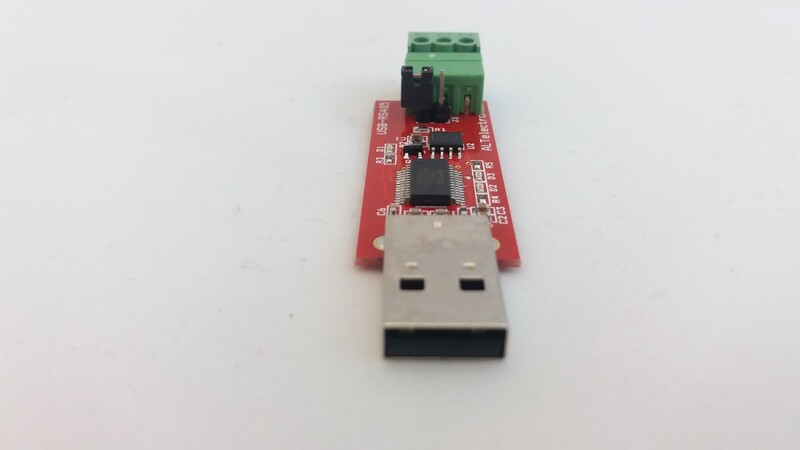 The USB-RS485-PCB is a USB to RS485 level serial UART converter PCB incorporating FTDI’s FT232RQ USB to Serial UART interface IC device which handles all the USB signalling and protocols. 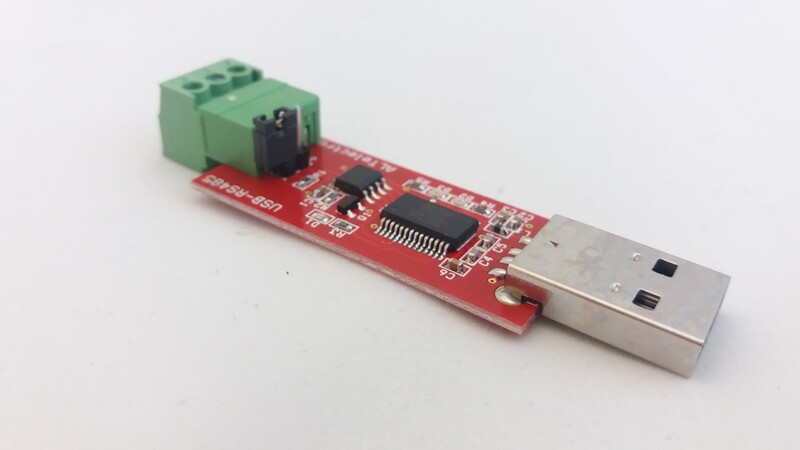 The converter provides a fast, simple way to connect devices with an RS485 interface to USB. Each USB-RS485 converter contains a small internal electronic circuit board, using the FT232R plus a USB type-A connector. The FT232R datasheet, DS_FT232R, is available at http://www.ftdichip.com. The integrated electronics also include an RS485 transceiver plus Tx and Rx LEDs which give a visual indication of UART traffic. The converter is USB powered and USB 2.0 full speed compatible. Each converter supports a data transfer rate up to 3 Mbaud and supports the FTDIChip-ID™, with a unique USB serial number programmed into the FT232R. This feature can be used to create a security or password protected le transfer access using the converter. Further information and examples of this feature are available at http://www.ftdichip.com under FTDIChip-ID Projects. 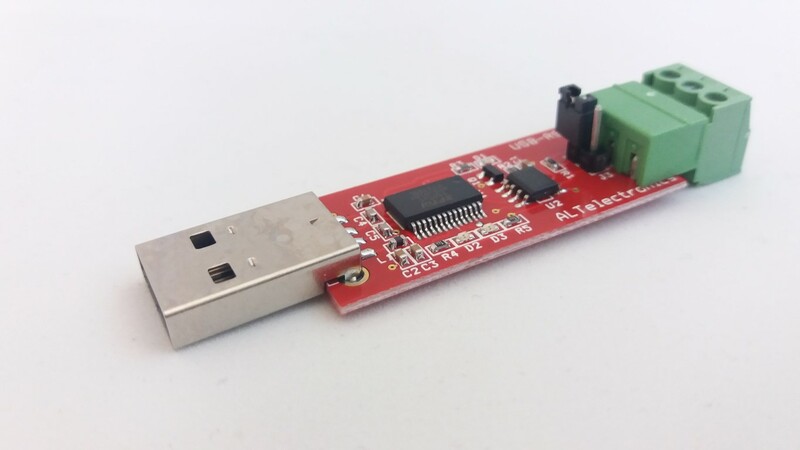 The USB-RS485 converter requires USB drivers, available free from http://www.ftdichip.com, which are used to make the FT232R on the PCB appear as a virtual COM port (VCP). This then allows the user to communicate with the USB interface via a standard PC serial emulation port (for example TTY). This device is also useful in order to control the 01TM Supermodified from a PC using the SMS commander. The terminating resistor can be selected by jumper. We ship the unit with the terminating resistor selected, as it is the default for use with the 01TM Supermodified. In order to use the device, the FTDI VCP drivers are required. They can be found here: FTDI VCP drivers.